We explore the power of Shakespeare and Cervantes, two universal authors whose literary legacy is more relevant than ever 400 years after their deaths. The British Council, Acción Cultural Española, Hay festival, Galaxia Gutenberg and And Other Stories have invited 12 contemporary international writers to write an unpublished short story as a tribute to these giants of world literature. 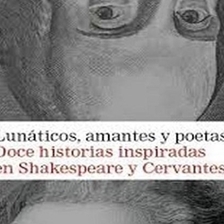 Deborah Levy, Kamila Shamsie and Marcos Giralt Torrente, three of the authors of this anthology, will talk about their experience and their relationship with Cervantes and Shakespeare.